Is the state of the planet getting you down? You’re not alone – and in fact there’s an exhibition for that. Eco-Anxiety: Holding a Deep Breath showcases five artists from Australia and Japan who explore the unstable ecological future of planet Earth. The exhibition features work from Kosuke Tsumura, Yumi Umiumare, Hiromi Tango, and Ken and Julia Yonetani. The Yonetanis are no stranger to environmentally-fuelled artworks, having chiseled out their niche with eerily glowing uranium glass sculptures. 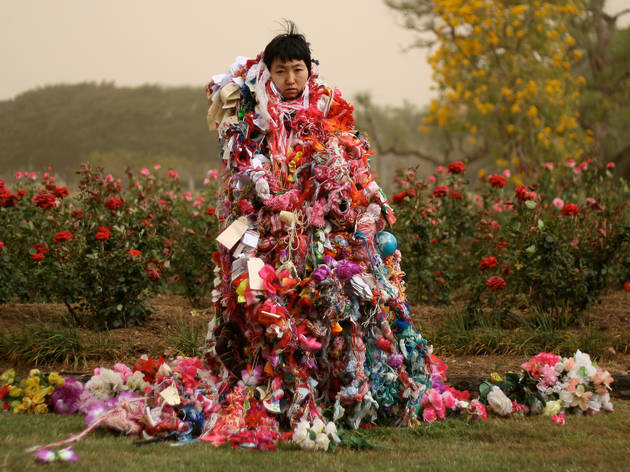 In Eco Anxiety the pair continue to explore the relationship between humans and the environment, as does Japanese-Australian textile artist Hiromi Tango. 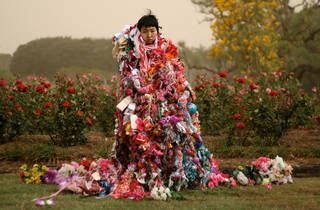 Fashion designer Kosuke Tsumura’s contribution, Final Home, plays with the boundaries of fashion and shelter with an outfit designed to be worn as a home during disasters. Butoh dancer Yumi Umiumare will be engaging audiences through her highly measured butoh movements with the aim to inspire discussion of anxiety caused by environmental issues. The exhibition is being hosted by the Japan Foundation as part of the Big Anxiety festival, Australia’s largest mental health festival.